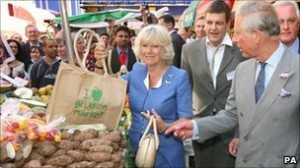 Home » News & Blogs » Community supported enterprise – how might that work? One of the REconomy Project’s aims is to find new ways that communities can provide support and investment to local enterprises, who in turn offer benefits back to the community – not just in terms of jobs – but also strengthened local resilience, minimal environmental impacts and fairer ways of trading and profit-sharing. Jay Tompt explains how Transition Towns Totnes and Brixton will be exploring this area over the next 3 years. One of the REconomy Project’s work strands is called Community Enterprise Support and Investment (CESI). CESI includes the participation of the Transition Town Totnes’ REconomy Project in Devon and Transition Town Brixton’s Lambeth REconomy Project in London. The overall goal of the CESI activity is to support innovation in community-led models for nurturing new social and sustainable enterprises, aka Transition-oriented enterprises. The initiatives in both locations will aim to meet this goal by selecting and supporting at least 10 new enterprises in innovative, community-centric ways over the next 2-3 years. This is as opposed to the more traditional (and now not funded) Business Link type approach based on central funding and a few general experts that work from within the current paradigm of what a business should be, typically focusing most support on high growth potential areas. Both places have similar experience in developing ‘economic change’ projects, however the circumstances in both communities are unique and will therefore require different approaches. Duncan Law (Brixton), Jay Tompt & Frances Northrop (Totnes) meet at the Totnes REconomy Centre to kick off the CESI project. Totnes is a rural market town with a population of about 8,500, with another 14,500 living in the surrounding district. The local economy features tourism and agriculture, as well as small, independently-owned small retail and food businesses. Major employers have gradually left the area. Except in recent years, there has been little history of entrepreneurship, especially in the context of new social or sustainable business models, nor have there been cultural or infrastructural supports for entrepreneurs in the town. Until recently, there have been few, if any, programmes designed to spark innovation, train or encourage entrepreneurs, or incubate start-up businesses. The Totnes Reconomy Project began to pursue activities and develop projects to fill this void in late 2011. Projects have included business planning workshops, the Local Economic Blueprint, the annual Local Entrepreneur Forum, and the REconomy Centre, a new enterprise incubator. The Totnes Pound has also recently been given a fresh start. Through these projects and activities, the Totnes REconomy Project has gained some limited but valuable experience in supporting entrepreneurs, either directly or indirectly. The Local Entrepreneur Forum, which has been run three times in the past 2 and half years, has focused on methods to include wider segments of the community in the process of new enterprise formation and support, and now plays an important role as a focal point for a range of economic regeneration activities. 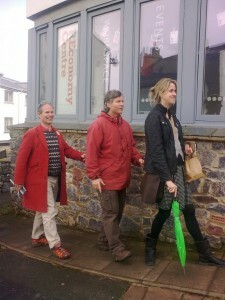 Through all of this experience, the Totnes REconomy Project has been developing a network of potential and current entrepreneurs, owners and managers of early stage social and sustainable enterprises, experts and other professional ‘enablers’, as well as non-professional enablers, and potential financial investors. Using the Local Entrepreneur Forum as a means of recruiting participants of the programme, as well as connecting them with community-based financial and non-financial resources. The 4th annual Local Entrepreneur Forum will be spring, 2015. Unlike Totnes, Brixton is a densely populated, multi-ethnic urban district in the London borough of Lambeth (pop. 266,000). Until the most recent decade, Brixton was known for economic hardship and decay. Much of that has given way to gentrification and a mild resurgence in economic opportunity, including the now vibrant Brixton Market. The most visible features of the economic landscape are corporate franchise retail brands, many independent small and medium businesses, and the government sector, with Lambeth Town Hall and its clock tower a prominent landmark. For these and other reasons, numerous funded programmes have sprung up, designed to support new social and sustainable enterprise. These include, among others, the Impact Hub, a co-working space located in Lambeth Town Hall; Tree Shepherd, offering entrepreneur training and support for young people; Remakery, a work hub and incubator for ‘maker’ enterprises; and One Planet Ventures, offering entrepreneur training. Transition Town Brixton, and now the Lambeth REconomy Project, has launched successful ‘economic enabler’ projects, like the Brixton/Lambeth Economic Evaluation and the Brixton Pound, and Makerhood – a network or local makers. However there have been no projects specifically aimed at supporting new social and sustainable entrepreneurs. However, these projects have served as a catalyst for developing relationships with a wide range of organisations engaged in activities relating to local economic regeneration. This network of relationships, which includes those organisations mentioned above which do offer entrepreneur training and support, forms the basis for a networked approach that could amplify the effectiveness of each, while demonstrating a new model for community-led solutions. The approach taken by the Lambeth REconomy Project will focus on development and promotion its own Local Entrepreneur Forum (LEF),which will provide a focal point for a range of community-led economic regeneration activities in the wider area, specifically those that encourage, train, and support social and sustainable entrepreneurs. It’s intended that network partners will provide ongoing support to Lambeth REconomy Project’s CESI entrepreneurs, each of whom will participate in the 2015 or 2016 LEF events to be held in Brixton. The LEF will provide entrepreneurs the opportunity to gain financial and non-financial support from local individuals and organisations, and for members of the community to participate directly in their own economic renewal. In addition to leveraging the support offerings in this network, Lambeth REconomy Project also aims to develop new support offerings where there are gaps, such as providing presentation and ‘pitch’ training to LEF participants. This approach will also allow for network members to strengthen their own knowledge base and support offerings, including value and principles exemplified by the notion of Transition-oriented enterprise and understanding how to unlock community-based support. 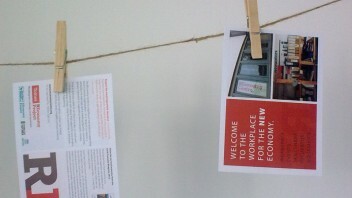 Finally, the LEF will help to create the conditions for a new entrepreneurial culture to develop in Brixton. Create a support network for CESI programme entrepreneurs, leveraging existing entrepreneur training and support offerings from partners like the Impact Hub, Tree Shepherds, One Planet Ventures, the Remakery, The Funding Network, etc. The LEF will include ‘pre-events’ to publicise and recruit entrepreneur, investor, catalyst, expert, and community participation. Pre-events are scheduled for the spring 2015 LEF will be in autumn 2014 and winter 2014/15. The LEF event is organised to include learning and networking, as well as pitching to investors, which will include financial and non-financial asks. It will also seek to recruit additional participants to the CESI programme, if needed, as well as to support network members, and subsequent LEF events. Here’s a write-up and short video of the highlights of the most recent LEF in Totnes, May 2014. We will be posting project updates here on the REconomy website, and sharing useful resources and learning as we go. Author: Jay Tompt, Transition Town Totnes, August 2014. In 1999 we’d been successful in sourcing a successful local economic development initiative in Russia which included a community development bank run by Finca which applied a moral collateral lending model to create around 14,000 loans for around 10,000 new microenterprises in Tomsk, a city of around 600,000 inhabitants. The model was replicated by USAID in several other cities. Bringing this model of business for community benefit to the UK in 2004, we approached ICOF and SWRDA with our business plan which proposed a model which invested 50% of surplus revenue to invest forwarding the creation of new social enterprises through local CDFIs, taking up the same role as in Tomsk. Interestingly, the living wage policy that we embedded in our business model has recently re-appear under the label or predistribution. As we’d predicted, uprisings arrived on our streets 7 years later.